Protect from heat, eliminate frizz & enhance shine! Alterna Caviar Anti-Aging Hair Products contains Seasilk, Caviar Extract (Omega 3) and Vitamin C.
Combined with Alterna's exclusive Anti-Ageing Complex create a gorgeous collection of re-energising hair care products. Exquisitely packaged, the Caviar range restores moisture, elasticity and strength. Over time life's daily stresses can take their toll on your hair. Alterna Caviar Anti-Aging Range including Alterna Caviar Radiant Smoothing Lotion has been developed to intensively nourish and rehydrate your hair! Alterna Caviar Anti-Aging Range fulfill your hair's potential to look gorgeous and be deeply moisturised. Alterna Bamboo hair products aim to give you sustainably stronger, smoother and frizz-free hair. Each product is formulated with fairtrade, certified organic, eco-certified Bamboo Extract and Kendi Oil. These natural ingredients work to strengthen hair fibre, seal split ends, eliminate frizz and protect hair from humidity and colour fade whilst boosting a healthy shine! Alterna 1 Night Highlights allow you to transform your hair for one night only. Choose your colour and embrace the night. Quick and easy to use for a vibrant hair colour every time. View all Alterna Hair products in one place. Not sure what you are looking for? Simply select your hair requirement and product type. Alterna’s brand had always taken pride in being an innovative and unpolluted. 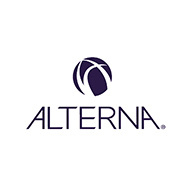 In 1997 Alterna Hair Products was launched in salons, this was different to others as Alterna offer a range of premium products which are free of many harsh ingredients. Their natural ingredients such as: caviar, sea silk, bamboo and kendi oil had been proven to give great results. Meaning there is no longer the decision of using natural or effective, now you can have both. Alterna have delved into the since of skincare, meaning they use a range of interesting technologies such as Age Control Complex and Plumping Marine complex which have obvious results. Alterna are focused of providing the best shampoo and conditioner for professionals and customers. With their products being free of Sulphates, synthetic colour and parabens you can guarantee their products aren’t harmful to your delicate hair. You are also able to use their product conscience free as they do not use the animal testing method. Alterna is one of the most widely used brands, around the globe, used by both consumers and professionals. Alterna Bamboo Smooth Anti-Breakage Spray – clinically proven to reduce the amount of breakage and thermal damage your hair experiences, it instantly repairs and strengthens hair and smooths each strand. Alterna Bamboo 24 Hour Sustainable Volume Spray – proven to have the power to instantly thicken hair and give an amplified, all-over volume by 105% with results lasting up to 48 hours. This weightless spray is enriched in bamboo extract and maca root to help tackle hair thinning, loss of volume and hair strength whilst improving colour protection.